David Bowie was born David Robert Jones on January 8th 1947 in Brixton. Unfortunately, he passed away from liver cancer on January 10th 2016, just two days after his birthday and the release of his last album. Although he’s no longer with us, his impact is still very much visible across popular culture. The musician would often describe himself as ‘a being from another planet’ and admitted that he was didn’t fit in as a youngster. He spent a year studying under a Tibetan lama and even considered becoming a monk, but he started studying music. Bowie joined many bands before starting his solo career, however none of them reached the stardom of the vocalist. The release of his first self-titled album wasn’t a huge success. The first single that reached the charts was ‘Space Oddity’, which was featured on his second album that was also called ‘David Bowie’. The second album isn’t considered to be a good one, mostly because it was rushed due to the success of the song that told the story of Major Tom- the first character Bowie had created. Sadly, the adventure of the astronaut is very short, with him tragically dying in space. His third album had a staggering cover- it featured the artist dressed in women’s clothing. Because of this look, Bowie is often regarded as the first and most famous drag queen. 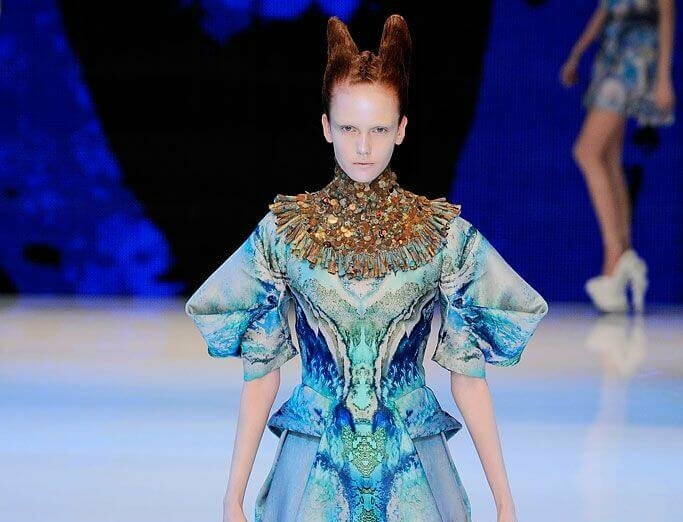 This trend continued throughout his career, with his gender-bending and feminine costumes. The idea of a man wearing those clothes was still quite abnormal at the time. David began to catch attention, but his breakthrough happened when his most famous and beloved character- Ziggy Stardust– was born. The alien messenger was a bisexual rock star, which often wore a colorful body-fitting jumpsuit. This was also around the time when David came out to the public. ‘The Rise and Fall of Ziggy Stardust and the Spiders from Mars’ is still considered to be one of the greatest albums of all time which sold an estimated amount of 7.5 million of copies worldwide. 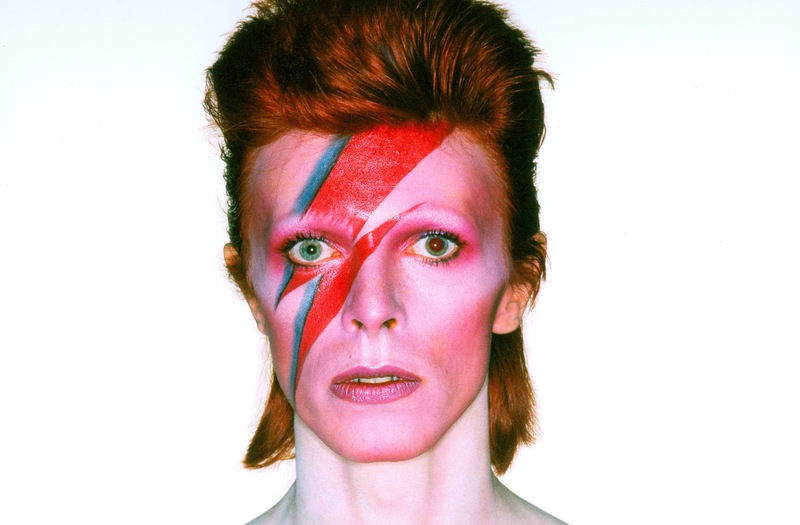 One of the most famous looks David ever wore has to be the makeup he wore on the cover of ‘Aladdin Sane’. The distinctive thunderbolt painted across Bowie’s pale face became a trademark for the artist. Many designers adore Bowie and even created collections that feature clothing that resembles his costumes. Christopher Bailey called Bowie ‘a complete legend’. Paul Smith was a long time friend of David and when asked about him, he described his as everchanging and timeless. 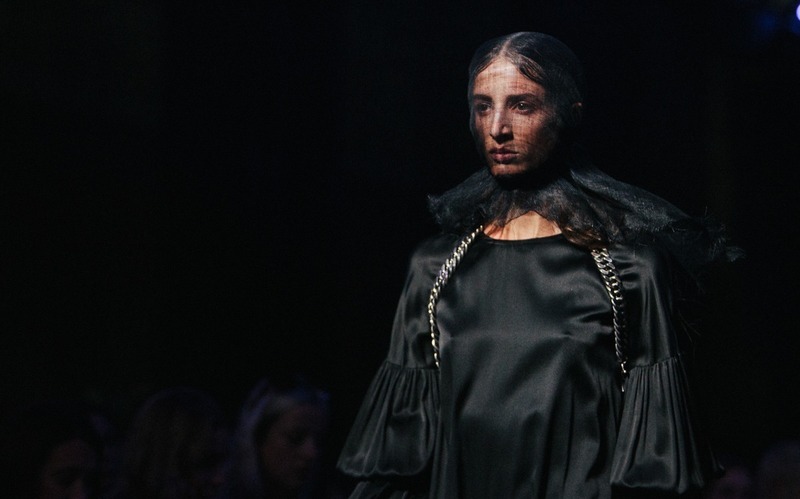 Many tributes have been payed to Bowie in the fashion world- from Miu Miu’s Ziggy Stardust suiting to Balmain’s jumpsuits- but the after his death, many artist felt the need to honor the musician’s life and his legacy. During Fall 2016 men’s shows, Burberry premiered his new collection filled with references to the rock star. 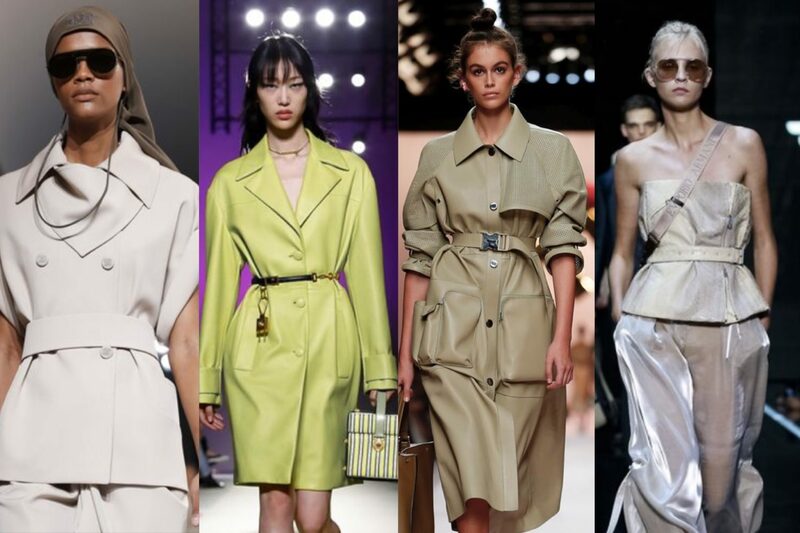 This continued in Milan, with other designers like Gucci, Maison Margiela and Jean Paul Gaultier. During his lifetime, David was the ever changing chameleon of the scene. He inspired many people to be themselves and to create the craziest and wildest pieces of art. Many musicians called him their biggest idol, so it’s safe to say, that the music wouldn’t be the same without him. Unleash your inner Bowie, create what you want and be unapologetic.